Nohra Belaid says Capitol Hill is ready to find out what a real French croissant is all about. 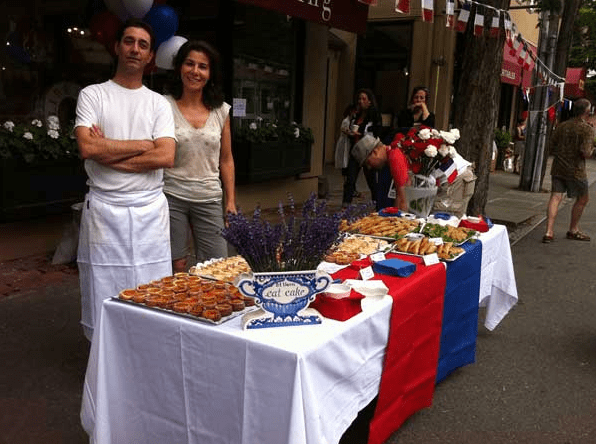 The owner of Ines Pastisserie is expanding her Madison Valley pastry shop to Capitol Hill by early next year, with plans to move into the new “big wedge” building at 1111 E Union. Belaid said she hopes to have the new shop open for Valentines Day 2014. She told CHS she wants to keep running her 29th and Madison location, but will reassess once 11th and Union opens its doors. Like the current location, Belaid said the new pastry shop will be open for morning croissants and baked goods. She also wants to stay open late three nights a week to serve Capitol Hill’s after dinner crowd. Customers can expect the staples of French patisserie fare: mousses, religieuse, and tarts. Ines will be the third pastry shop to come to the neighborhood in the past year, with Crumble and Flake opening last year, and Bakery Nouveau’s opening in April. 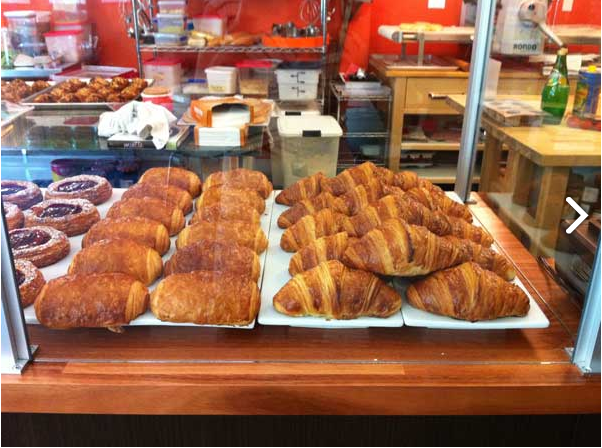 Belaid has been serving up French baked goods in Madison Valley since Ines opened in 2010. Belaid, who came to Seattle from France in 1990, said she grew up in the pastry business. The 11th and Union building is one of many under construction in the area. We have an email out to the developers to get a status update on when they expect construction to finish. The project replaced the legendary Undre Arms building, which was demolished nearly one year ago. The Undre Armes did not feature a patisserie. Change is coming for the Highline. In May, many were comforted by this CHS report that Kimchi Bistro in the Broadway Alley building wasn’t closing — simply on hiatus during a family emergency. Sadly, the bistro remains closed today. Happily, we can tell you that we’re told Kimchi still plans to reopen after the long downtime due to a serious medical issue. Next year is already in the works and think the following laundry list would help to alleviate the frustration of long lines, dense crowds and smiling faces. – More days, so less crowds. – Food vendors on one side, easier room and to move and experience. – Activate the park more, more seating and family-friendly activities. Thank you again and look forward to next year! Noted: Octo Sushi is overhauling its disjointed front section into a lounge area to accompany the restaurant within the Velocity Dance building. On Saturday, August 24th from 5 to 10pm, Linda’s Tavern proudly presents our Fourth Annual Linda’s Fest! It’s been a hot summer, but we’re about to set this mothertrucker ABLAZE with a monstrous FREE rock party in the sickest of locations: the parking lot behind Pine Food Market. There’ll be killer food and drink specials along with our regular menu and even though the festivities will be from 5 to 10 pm, if you wanna stick around for a few more beers, we won’t tell your mom. So much Capitol Hill on the Seattle Weekly annual Best of Seattle food and drink roster. Central District updates: Burger joint seems to be in the works for 23rd south of Union, Med Mix still stands, Mesob Ethiopian is on the move. Cascina Spinasse’s Jason Stratton is exhibiting his artwork outside the kitchen this month at Seattle U’s Hedreen Gallery. Sun Liquor now offers weekend distillery tours. Free! These Bon Appetit Seattle food+park pairings are obnoxiously terrible. This Stranger interview with the folks behind Little Uncle, on the other hand, is adorable. The Broadway Grill guy is coming out with a book. The Starbucks across the street from a Starbucks (QFC style) in a former Tully’s is now open at Pike/Broadway. Used to be the Broadway State Bank, you know. any word on what’s happening to the old galeria’s space? i’ve been watching them taking down bits of the roof and making repairs. wondering if they’re thinking of making that spot into a broadway alley sort of spot; with a public corridor and business off to the sides. permit doesn’t indicate anything beyond what we’ve reported — landlord finally repairing the damage and readying for lease. No word of any tenant lined up at this point. Fortunate to work near Ines’ patisserie in Madison Valley- her baked goods are far more delectable than Bakery Nouveau or Crumble and Flake! Yay! Such bold statements! Perhaps I need to try more of her pastries. Went there once, remember having a chocolate croissant that was very very good but not mind boggling. Also remember that it was $4.75 (yeouch). Nonetheless, I welcome any competition of this sort to the Hill — bring on the treats! !